Given this week has been something of downer for the DC Extended Universe with the announcement that Flash director Rick Famuyiwa would be leaving the project due to 'creative differences' and Marvel having their latest, sure to be blockbuster opening DC and Warner Bros. are still trying to look on the bright side of things by releasing a new trailer for Patty Jenkins' Wonder Woman AKA the last great hope for the DCEU. The first trailer for the film that premiered at Comic-Con this past summer couldn't even be overshadowed by the release of Justice League footage as that first look showed off Matthew Jensen's gorgeous cinematography, some exhilarating and intense action sequences, as well as some seemingly solid chemistry between Gal Gadot and Chris Pine who looks to provide an opportunity for smaller moments and humor that will take advantage of the out of her element Amazonian princess. 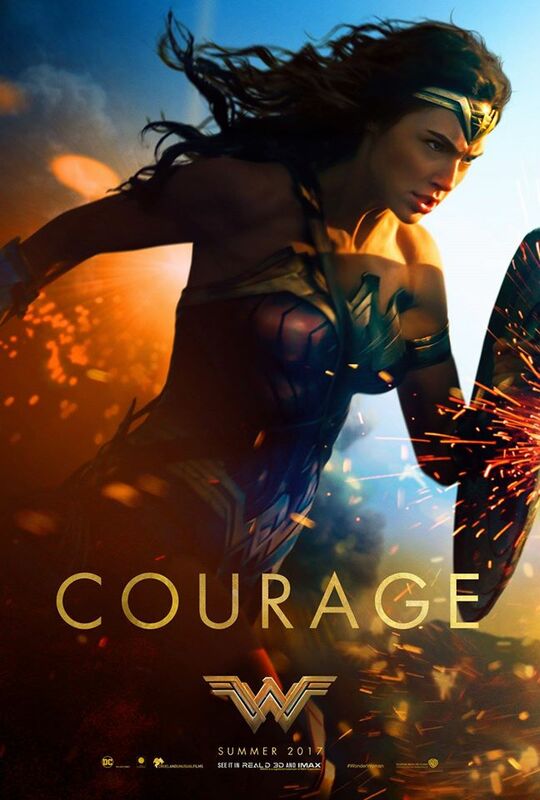 This new trailer is essentially more of the same, but when your first one was as good as Wonder Woman's you don't have to do much more to sell your movie. Wonder Woman sees Gal Gadot reprising her role as the titular warrior that first debuted in Batman v Superman: Dawn of Justice. While that film wasn't a unanimous winner most agreed that Gadot's Wonder Woman was one of the highlights. 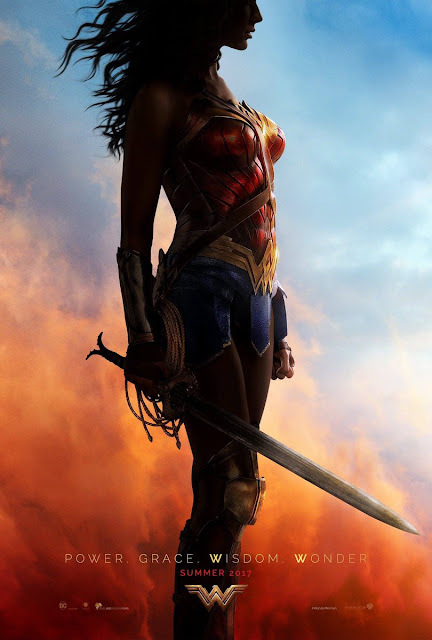 With this being Wonder Woman's first solo feature film a lot of pressure has no doubt been applied to Jenkins (who directed Charlize Theron in her Oscar-winning role in Monster) and screenwriters Geoff Johns and Allan Heinberg, both of whom have either worked with Zack Snyder on previous DCEU films or, in Johns case, will be overseeing the DCEU from this point on. Wonder Woman, which is set before the events of BvS, tells the origin story of Diana Prince. Set in the midst of World War I, Prince’s sheltered island paradise life is upended when Pine's Steve Trevor crash lands and tells of the conflict happening in the outside world, spurning Diana into action. Wonder Woman also stars Connie Nielsen, Robin Wright, David Thewlis, Danny Huston, Elena Anaya, Ewen Bremner, Saïd Taghmaoui, and opens on June 2nd, 2017. 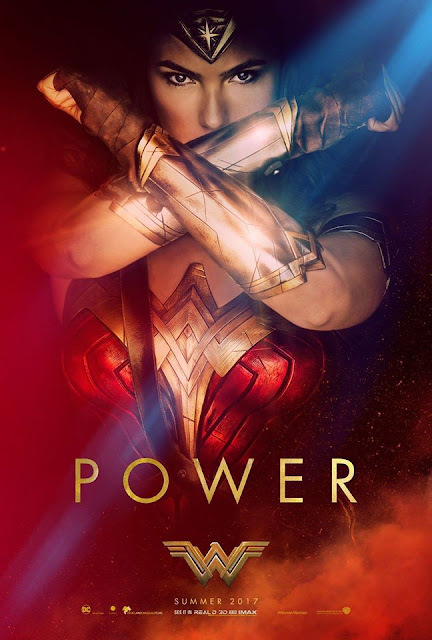 Synopsis: “Wonder Woman” hits movie theaters around the world next summer when Gal Gadot returns as the title character in the epic action adventure from director Patty Jenkins (“Monster,” AMC’s “The Killing”). Joining Gadot in the international cast are Chris Pine (the “Star Trek” films), Connie Nielsen (Fox’s “The Following,” “Gladiator”), Robin Wright (“The Girl with the Dragon Tattoo,” Netflix’s “House of Cards”), David Thewlis (the “Harry Potter” films, “The Theory of Everything”), Danny Huston (“Clash of the Titans,” “X-Men Origins: Wolverine”), Elena Anaya (“The Skin I Live In”), Ewen Bremner (“Exodus: Gods and Kings,” “Snowpiercer”), and Saïd Taghmaoui (“American Hustle”). Before she was Wonder Woman, she was Diana, princess of the Amazons, trained to be an unconquerable warrior. Raised on a sheltered island paradise, when an American pilot crashes on their shores and tells of a massive conflict raging in the outside world, Diana leaves her home, convinced she can stop the threat. Fighting alongside man in a war to end all wars, Diana will discover her full powers…and her true destiny. Patty Jenkins directs the film from a screenplay by Allan Heinberg and Geoff Johns, story by Zack Snyder & Allan Heinberg, based on characters from DC Entertainment. Wonder Woman was created by William Moulton Marston. The film is produced by Charles Roven, Zack Snyder, Deborah Snyder and Richard Suckle, with Rebecca Roven, Stephen Jones, Wesley Coller and Geoff Johns serving as executive producers.